I'm not easily flattered. I guess I'm too cynical for that. I always look for a motive. Perhaps that's why I enjoy writing crime/noir stuff so much. 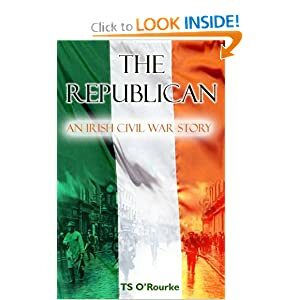 So it was with something of a shock that I discovered the 'perfect review' if such a thing exists, for my historical fiction/faction novel The Republican: An Irish Civil War Story. To prove that I'm not imagining things or making stuff up I've added the link below. There - you see... I'm not imagining it, am I?